Revenue in the OTC Pharmaceuticals market amounts to US$3,988m in 2019. The market is expected to grow annually by 1.8% (CAGR 2019-2023). In global comparison, most revenue is generated in United States (US$23,062m in 2019). In relation to total population figures, per person revenues of US$48.37 are generated in 2019. The Over-the-Counter Pharmaceuticals market comprises over-the-counter medicine that can be purchased without a medical prescription. The market is subdivided into Analgesics, Cold and Cough Medication, Digestives and Intestinal Remedies, Skin Treatment products and Vitamins and Minerals. It includes both products which are exclusively sold in pharmacies and products which can be purchased elsewhere. Sales by hospitals are not included. Reading Support Revenue in the OTC Pharmaceuticals market amounts to US$3,988m in 2019. Reading Support The OTC Pharmaceuticals market is expected to show a revenue growth of 2.2% in 2020. 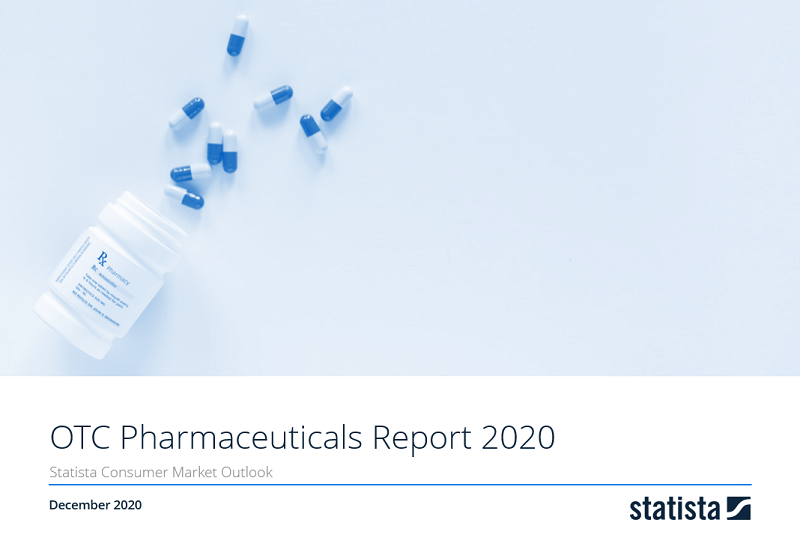 Reading Support The average revenue per person in the market for OTC Pharmaceuticals amounts to US$48.37 in 2019. Reading Support In the OTC Pharmaceuticals market, 19% of total revenue will be generated through online sales by 2023. Reading Support With a market volume of US$23,062m in 2019, most revenue is generated in United States. Here you can find more studies and statistics about "OTC Pharmaceuticals".